Indeed, the ultimate aim of the European vision of the city is to make society, in other words to bring together people of all conditions and origins. However, the dominant trend towards individualisation, the quest for autonomy, cannot be ignored. This is precisely the contradiction that Europan addresses: on the one hand wanting the city – i.e animation, communal life, people – and on the other side wanting intimacy, privacy, home and the immediate circle. Europan launched the tenth session of their young architects’ competition series yesterday. 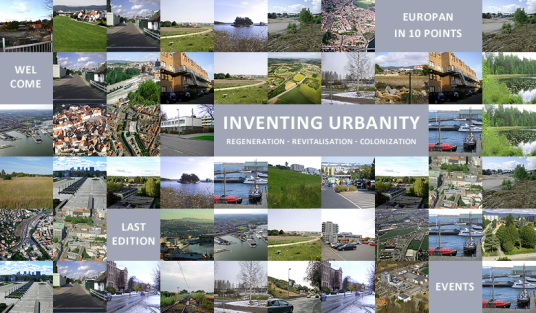 This year’s topic is inventing urbanity : regeneration, revitalization, colonization. Whereas the subtopics make sense, the title appears to be far-fetched. Do we need to ‘invent’ urbanity? The principles of urban life are well understood since the first criticism of modern planning had been advanced. On the other hand I welcome that the recent Europan sessions (‘European Urbanity: Sustainable City and New Public Space’) are much more concerned with density and the urban condition than earlier issues (‘New Housing Landscape’, ‘In-between Cities’). This year’s brief emphasizes equally social and ecological issues. those that must undergo a strong transformation (regeneration), those that must both keep their identity and redynamise their programme (revitalization) and those that must undergo a development (colonization) . 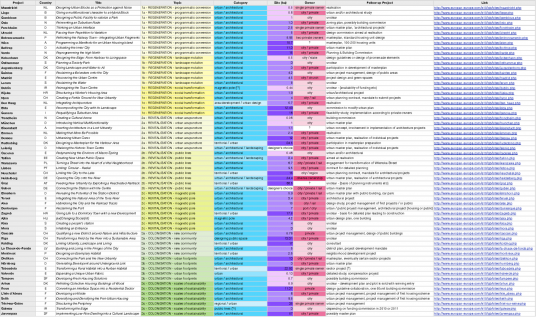 UPDATE II: Check out the hard-to-find page with the registration statistics. Typical diploma projects come out on top, as of 8th of march 101 registrations for Dunkerque, a harbour pier transformation.